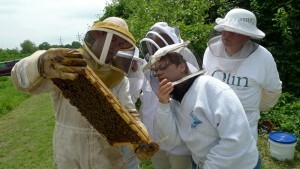 Have you heard about the new Texas Master Beekeeping Program? 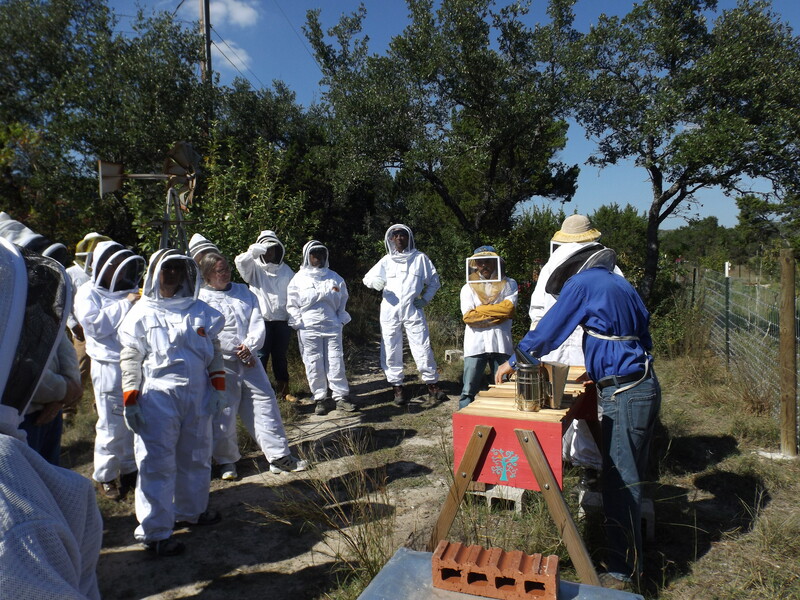 The Texas Master Beekeeper Program (TMBP) is an educational program designed to increase the knowledge and skill level of participating beekeepers. 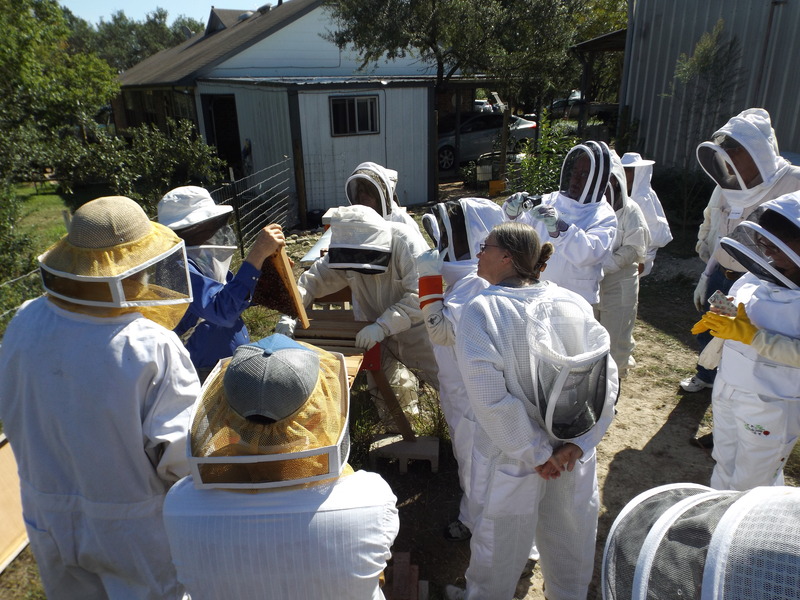 The program is a five-year (minimum) beekeeper training and certification program provided by the Texas Apiary Inspection Service in association with the Texas Beekeepers Association, Texas A&M Honey Bee Lab and AgriLife Extension. The Texas Master Beekeeper Program (TMBP) is modeled after the well-established University of Florida’s Master Beekeeper Program. 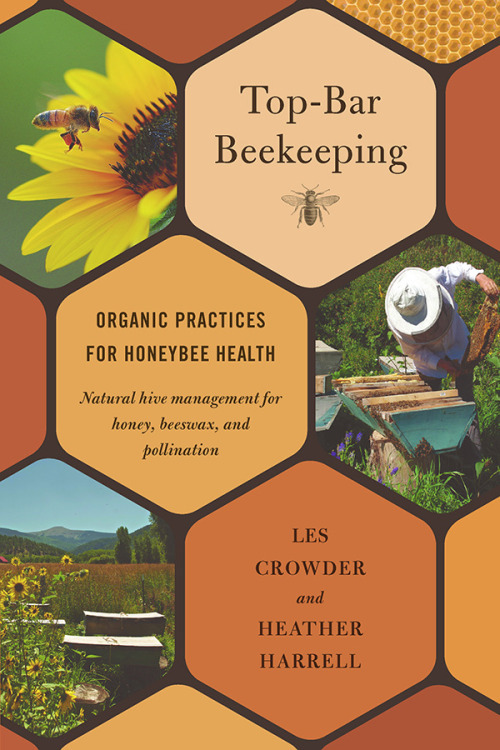 By using this model TMBP is able to provide the beekeepers of Texas with a well-designed program that both increases the knowledge base of the beekeeper but also helps to educate the general public about beekeeping. This is done through public service credits; a requirement in this program. It is the goal of the Texas Apiary Inspection Service that by providing this program we can increase the overall health of the apiary industry. The TMBP will accomplish this goal by producing highly knowledgeable beekeepers that can help lead the industry and act as honey bee ambassadors to the general public. If you have any questions about the program, or you would like to be added to the Master Beekeeper e-mail listserv, please contact the Texas Apiary Inspection Service using the “Give Us a Buzz” icon at the top of their page (link at top) or e-mailing tais@tamu.edu directly. This entry was posted in Uncategorized on February 26, 2015 by tcbeeks. Catch the BUZZ!!! Join us for the 2nd Annual Austin Tour De Hives! 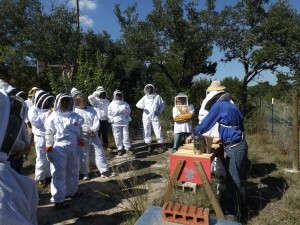 This will be a self guided tour of bee yards in the Austin and surrounding areas. 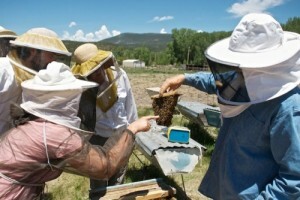 Discover how your neighbors are doing their part to save the planet one bee at a time! Bee yards will demonstrate a variety of ways to keep and attract bees showing all the creative ways you can indulge in the art of beekeeping! 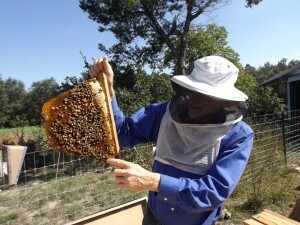 The days festivities will kick off in Southwest Austin at the Bee Friendly Austin Apiary. Proceeds from the event registrations and raffle will benefit the Bee Friendly Foundation a Texas nonprofit dedicated to helping Texans become more bee friendly through educational opportunities, raising public awareness, promoting bee friendly landscaping and humane treatment of bees, grants for scientific research, and more! This entry was posted in Uncategorized on August 23, 2014 by tcbeeks. July Meeting was a HUGE success! We had over 30 attendees at the July meeting! Chris Doggett gave an excellent presentation on how to get started in beekeeping as a hobby. At the August meeting we will learn about equipment needs for getting started and discuss the various options available when you buy those first bees. Let us take the mystery out of shopping those bee catalogs! Don’t buy extra equipment you really don’t need. The next meeting is August 26th at 7pm, same place! This entry was posted in Uncategorized on August 1, 2014 by tcbeeks. The library called to say they made a mistake in the reservations and need the room tonight for voting elections. The meeting has been moved to Bee Friendly Austin Apiary in SW Austin. See meeting schedule for address. This entry was posted in Uncategorized on May 27, 2014 by tcbeeks.